Marvel Select Ant-Man and The Wasp Figures had begun to show up in Disney Stores. Now fans can order the figures online via ShopDisney.com and Marvel.com. The Ant-Man figure includes interchangeable hands, and mini versions of Hank Pym as Ant-Man, Hank Pym in his Quantum Realm Suit, and Janet Van Dyne as Wasp. The mini figures look to include small stands as well. The Wasp includes interchangeable hands, and mini figures of Scott Lang as Ant-Man and Hope Van Dyne as The Wasp. Those will include mini stands as well. The figures are priced at $24.95 plus shipping. After the » Continue Reading. 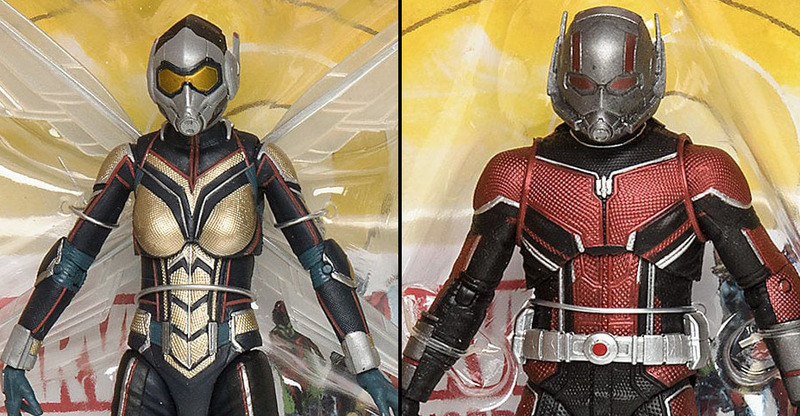 The post Ant-Man and Wasp Marvel Select Figures Available Online appeared first on The Toyark – News.